7-Eleven now accepts AirAsia payments! Effective 28 February 2013, you can now book your AirAsia seats online at www.airasia.com and pay for it at any of the 2000+ 7-Eleven stores nationwide! So what are you waiting for? 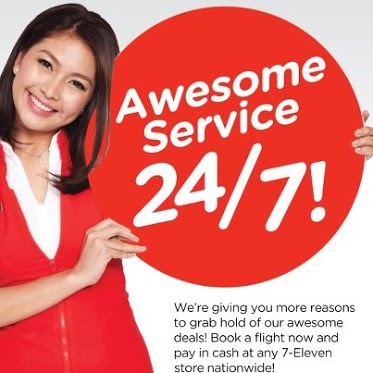 Book now and experience awesome convenience 24⁄7 brought to you by AirAsia and 7-Eleven. © 2017 7-CONNECT is a service of Philippine Seven Corporation.